Great news: a website is up and running that allows Ethiopian birth families and the adoptive families of Ethiopian children, and the adoptees themselves, to connect with each other. It is called Ethiopian Adoption Connection; click here to access it. 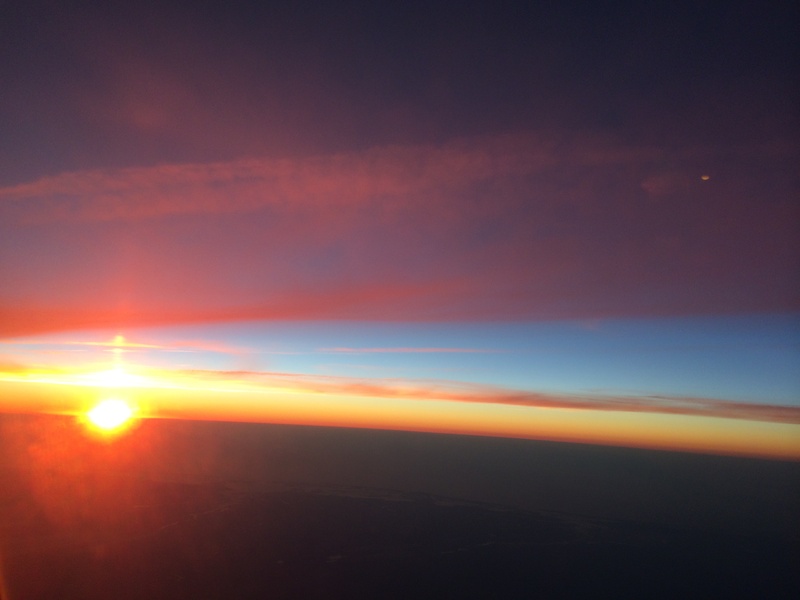 This exciting new resource was developed by Andrea, a US adoptive mom of Ethiopian children, and US birth/first mother Claudia Corrigan D’Arcy, who writes the highly regarded blog, Musings of the Lame. Andrea and Claudia have combined their considerable skills, time, and energy to create this wonderful site that allows both Ethiopian birth families and adoptive families to enter data and connect with each other. The site also has information about searchers, about online groups, and about other resources. It is in English and Amharic, and they hope to have other Ethiopian languages as well. This project is a courageous, powerful labor of love. It meets a desperate need. Please use and share this site; please contribute to its support, if you can. This site is a sign of positive possibilities in the adoption community, which is complex and tangled in many ways now. Is there more to do in terms to share information between Ethiopian families and adoptive families? Sure. Ethiopian Adoption Connection has begun blazing a vital path. (1) To create an infrastructure to deliver information from adoptive families to Ethiopian first families. This one is very complicated and potentially fraught with all sorts of problems, involving laws, money, emotions, unintended consequences, and more. Lots of gray areas. I’m looking forward to seeing what the possibilities are, and then bringing about positive changes. (2) To record, honor, and preserve the stories of Ethiopian first mothers. This one has its own complexities, and will be easier to implement. As a community, we have to keep thinking, talking, and connecting. Like many others, I am continuing to look at ways to improve the delivery of information between families, hoping to better meet that first goal. About the second goal: In December, I wrote about The Stories of Ethiopian First Mothers, and of Their Children. All too often in the adoption process, first/original/birth mothers are deeply marginalized. This is true especially in international adoption, where first mothers are often much poorer, less educated, and less empowered than us adoptive mothers in the US or other receiving countries. Adoption agencies rarely provide any level of post-placement services to the first mothers. There is no reason to think that those mothers don’t deeply grieve the loss of their children, nor that they don’t deserve some measure of services in the days, weeks, and years after making a plan for (losing their child to) adoption. Let me stress that while I cite first mothers here, I am well aware that first fathers, grandparents, aunts, uncles, siblings, and others also may be grieving and wounded, even in cases where they believe adoption is best for the child. In the short-term, I continue to advocate for services to international first parents, before and after placement. The services should be equitable to what adoptive parents receive. I’d argue that those services need expansion as well, of course. Still, international first parents are at a huge disadvantage in terms of support and services. In the long-term, I am working on several partnerships to record and preserve the stories of first mothers. Yes, there could be a Kickstarter project in the summer. Yes, there are travel plans afoot. It’s good stuff. I am grateful to be doing this work. Searching in Adoption: Where to Begin? Adoption happens because a child’s first family is unable to care safely or appropriately for him or her. That first family is always present nonetheless, whether in genetics, hair texture, race, physical memory, or a silent occasional moment of wondering on birthdays. Some adoptees grieve the loss of their first families deeply, and search meticulously and intensely. Some suppress their curiosity, in deference to adoptive parents, or to fear of what they might learn. Some accept the information they have and don’t spend much time or energy on it. Some mourn in silence, feeling guilty and confused. Some do an idle search on Facebook and happily find siblings in a single click of the laptop. Some are contacted by their original parents, or by the child they placed, out of the blue. Birth/first parents often share many of these emotions: grief, fear, curiosity, guilt, confusion, contentment, happiness, and more. The adoptees and first parents in these scenarios could be about any age, and anywhere in the world. The decision to search can be gradual or sudden, well-planned or haphazard. The results can be all over the map, just like the emotions that prompted the search. Having someone along for support can be critical: a (nonjudgmental, compassionate) friend, spouse, partner, sibling, therapist, mentor. It’s a document I created containing both US and international search resources. It’s not all-inclusive, definitive, or guaranteed. I’ve had many people ask me privately about search resources, and so put this list together. If it is useful to you, wonderful. May you find what you are looking for, and may it bring you peace. When adoptees search, it’s often for their birth mother first, and then for siblings, known and unknown. A reality of adoption is that siblings are often separated, sometimes on purpose, sometimes just as luck of the draw, sometimes inadvertently. Sometimes siblings are born before or after an adopted child is placed for adoption. Sometimes those children are placed or not for adoption. I have no siblings, but I have 4 children connected through adoption (two are bio siblings). Maybe that’s the reason I have long been intrigued about sibling relationships in adoption. There is so much research that remains to be done on this topic. In the brilliant and wonderful documentary Closure, Angela Tucker shares her journey to find her birth family. Born in Tennessee, raised in Washington state, she had few documents and details, but was able to connect with her original family. You can read about the documentary on my blog post here. 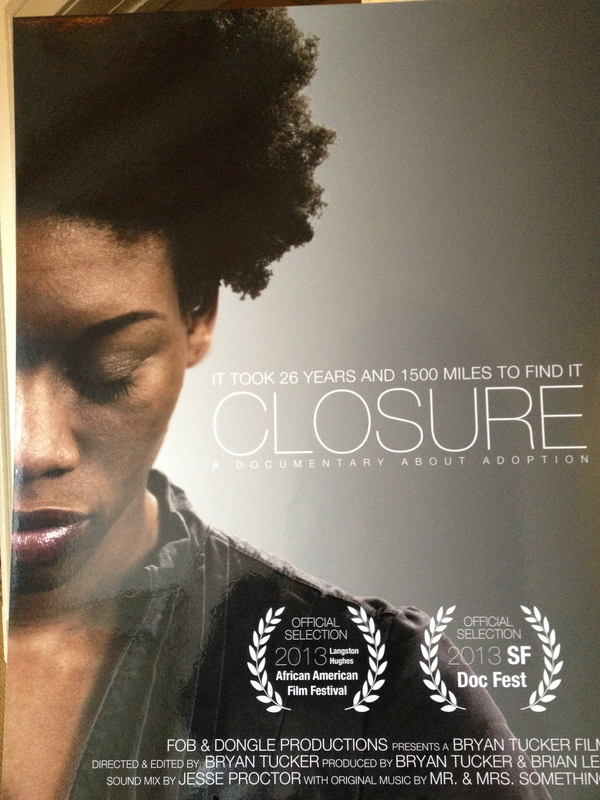 You can learn more about the film on the Closure Facebook page and the Closure website. The DVD (and you definitely should get this) is available at screenings, and will be available for sale through the website December 1. Angela has found many members of her birth family: mother, father, aunts, uncles, grandmother, nieces, nephews. They continue to get to know each other, catch up on the 20+ years spent apart, and figure out just who they are to each other and with each other. I’m pretty sure that Angela, like many adoptees who have searched for their original families, would say that she has not reached full closure. The families are still finding their ways. New questions arise, new doors open, some doors close. She has not yet been able to locate a sister born 20 months before her, and who was also placed for adoption. As an adoptive parent, I am hopeful that Angela will find her sister, and that her sister wants to be found. It’s tough and complicated. Read Angela’s thoughtful post today about this sibling journey on her blog, The Adopted Life. May all stories that need to be told in adoption find voice. May the stories be carefully listened to, and may we all grow stronger.